The blog may be without much action for a few days. We're busy with mission duties and school work. Troy is preparing for Pastor's training tomorrow. He will have more information soon about the formula and sponsorship of babies program that is being developed. 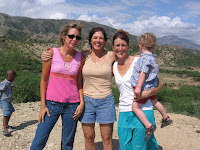 My closest friend in Haiti is our guest blogger today. She is photographed in the middle on the right. I love running and learned so much about myself the year I first started running and began distance training. The parallel that Beth draws between running a race and life is lovely, I hope you enjoy it. TINA- good luck in Lincoln this weekend, we're routing for you from here! The Boston Marathon is a prestigious race full of tradition. Only the best qualify for Boston and for the crowds it is a time to see the best runners in the world. Heartbreak Hill is known to be the toughest spot in the race. It looms just above mile 20 and after a runner conquers Heartbreak they head downhill into Boston and the finish (six miles later). At the start of Heartbreak Calvary Chapel has the water and Gatorade stop. I was privileged this year to be among Calvary's 40 or so workers. They take this seriously and there is an art to this. My sister Charleen qualifies and usually runs Boston each year. This year she decided to do the water stop instead. My sister is my running hero and without her and her friends at Calvary Church I would not have the support and love that I have training and doing a marathon. I'm slower than all them and they cheer me on as if I were the best. They give advice and knowledge and, best of all, they act like I'm one of them. They have been a true gift in my running life. We barely finish one marathon and coach Joanne is planning the next one! My sister and I headed out on Marathon Monday to meet the group at Heartbreak Hill. As always we were a tad late and a bit lost so we found a willing (but maybe drunk) taxi driver who knew how to navigate behind the blocked roads and get us close to Heartbreak. Then the police took over and let us through the road blocks and we ended up parking right where we needed to be. It was cold, it was rainy, the wind was whipping but there they were - the Calvary Chapel support team. Little did I know there is an art to handing out water to the athletes running by. When I run, I stop at the water stops, enjoy my drink, chat for a second or two and then off I go. Not these serious runners. They fly and drink and a worker has to pass off the drink without hesitation and not spill it all over the athlete while they athlete is in motion. I fumbled, I spilled and eventually got the hang of it. Of course, before we hand out the drinks we had to set up and prepare for them. Then we see them, the elite heading toward us. To my disappointment none of them hold out their hand for water they just fly like gazelles on by. I stand in awe as the greatest runners on the planet pass me. I am moved and I stand crying in the rain as the best in my sport go by. Then come the serious runners who will not win but are great athletes. They stretch their arms out for a drink. They are not the type to stay sleeping in a hotel room because of the weather. The condition of the road does not move them. It may make the journey less pleasurable but it does not stop them. I am so impressed, I'm very nervous giving them water, silly me. This would be my sister's group had she run this year. Then eventually come the strugglers, my group. Those who take longer, run slower but get to the finish. Boston does not have a whole lot of these because a runner has to qualify for Boston. Many of these slower folks are charity runners who run for a cause. Giving out water is only half the job. Cheering is the other half. Saying something in a split second that will help that runner conquer Heartbreak Hill and then make it home to the finish. 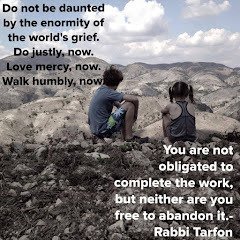 These words are powerful. When I ran Heartbreak in 2004 I fell apart at this very spot and a burly man from Calvary Chapel hugged me and prayed with me and I could then go on. Seeing a huge hill after running 20 miles is overwhelming. I prayed for the right words, the right little phrase to yell to encourage. One lady stopped and kissed me, others turned my way and smiled and some mouthed thank you. I came home hoarse from yelling all day long. 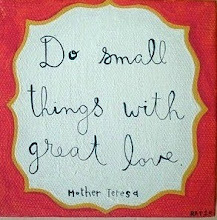 An encourager's job is not a small one. Sometimes in life we are the runner and other times we are the encourager. We need to realize a word aptly spoken is like gold to a runner. The Christian life is like the Boston Marathon - full of hills and sometimes bad weather. The race never gets canceled. If we run well and cheer well everybody wins. Cheer the weak runner, cheer the sick and the sinful and God may use our words to pick them up and push them from giving up. Some years, you run, other years you cheer and the art is in doing them both well to build up the body of Christ.